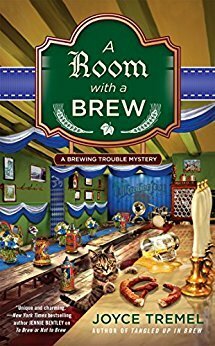 A Room with a Brew is a fun cozy mystery set in Maxine O’Hara’s Allegheny Brew House in Pittsburgh. Max, only daughter among several brothers in an Irish Catholic family, is an appealing character and I enjoyed the family dynamics. I wasn’t sure what I would think of a series built around a brewpub theme, but this story is well written and I really liked the ensemble cast. Although third in the series, it easily stands alone. 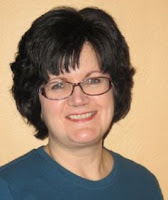 Bakery owner, Candy, features prominently in this story and much about her background is revealed. And what a fascinating background! I especially enjoyed the wide age range of Max’s friends, who formed a fun little investigating group. On top of everything else is the tension that arises when Jake’s former fiancée comes on scene. The mystery is well plotted with exactly the right number of suspects and a few twists thrown in just when I thought I had things figured out. With its Oktoberfest theme and oompah band, A Room with a Brew is the perfect seasonal mystery to curl up with during the cool fall months. To enter the drawing, please click on this link and share my Facebook post, then leave a comment here letting me know you shared. And if you’ve read any of this series, I’d love to know your thoughts. I was glad to discover this series, Linda. Good luck in the giveaway. This looks like a great book and series--I'd love to read it. Just found this series and am looking forward to start reading them, now they are on my want to read list. Thanks for the giveaway.